Maybe it’s my political proclivities, but I have to say that this just-ended season of Saturday Night Live was the best they’ve had in years (partly bolstering my theory that the best art comes from darkness, so hip-hop should be back in about five minutes). Not only did the writers and players tear Team Trump a new one each week, but they literally must have been writing (and getting costumes) up until the moment they air—not an easy feat. As such, SNL did two impressive covers of the royal wedding of Meghan Markle (does she not have a last name anymore?) and Prince Harry on Saturday, and they were “spot on,” as my British pals would say. 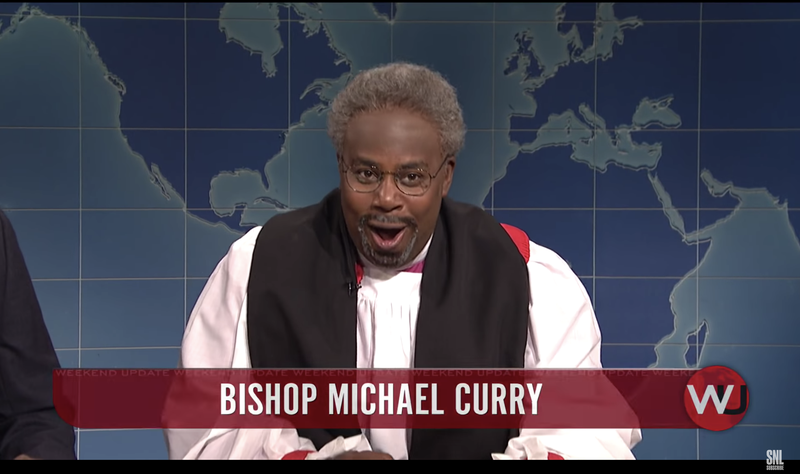 The biggest guffaw of the night was when longtime cast member Kenan Thompson did an impression of the black preacher, Bishop Michael Curry, who stole the royal wedding, bringing a word to St. George’s Chapel. “Thank the Lord, it is good to be around black folks again,” Thompson cold-opened to SNL news anchor Michael Che. And then Thompson did his take on the “love is great” part of Curry’s sermon. SNL be playing too much. Will the Real Meghan Markle Please Stand Up?